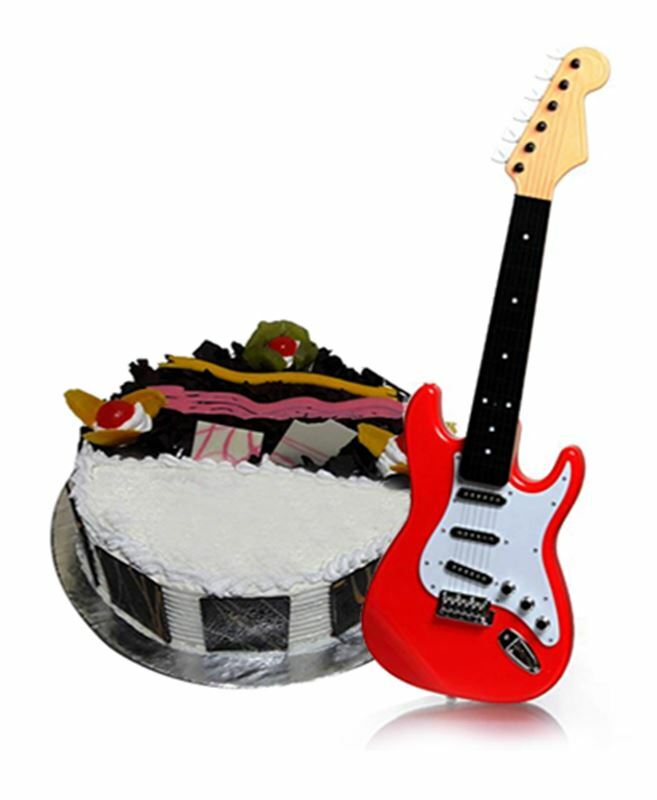 Surprise your kids with this special combo contains Kids guitar and cake. Red Guitar for Kids (Height: 26 inches) 1 Pc. Black Forest Cake From Chefs Bakery 1 Pc.